To celebrate Record Store Day on Saturday 17th April, Muse will be releasing a limited edition 12" vinyl of Exogenesis in the US. The tracklisting is as follows and artwork is below. 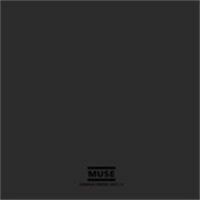 We've imported 500 copies of this 12" into the UK so Muse fans outside the US can get their hands on a copy. The 12"s will ship on Monday 19th April, but you can pre-order now by clicking on the link below.